Sandbags have been lifted, carried, and thrown for longer than we’ve all been alive. The sandbag is a tremendous tool for anyone looking to develop real world strength. Sandbags have stood the test of time for good reason. They are rugged, effective, and inexpensive. Within this video, Ross shares the knowledge that he has acquired after training with sandbags for over 15 years. You will learn the most effective exercises for strength and endurance, along with information about how to successfully integrate these sandbag training movements within a routine. You will also learn the best and least expensive equipment options. 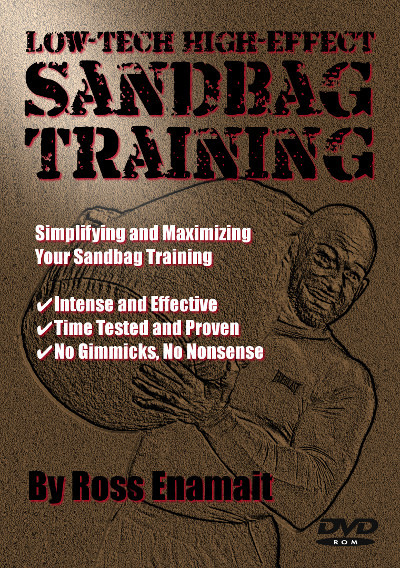 This package includes a 117 minute video about sandbag training and a 51 page electronic book. The video is available as a DVD or digital download. Sandbag training is meant to be effective and affordable. 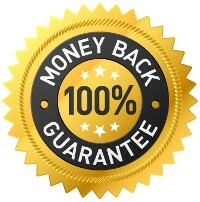 This package targets both of these objectives. I personally demonstrate all of the sandbag training movements within this video as I stand behind my products and practice what I preach. I will never teach or suggest anything that I do not utilize with my own athletes. In addition to the video, you will receive a 51 page electronic book that includes a detailed FAQ along with information regarding programming, sample routines, equipment considerations, and more. Both the video and e-book are filled with content. There is no irrelevant filler. From beginning to end, you will learn how to make the most of your sandbag training. 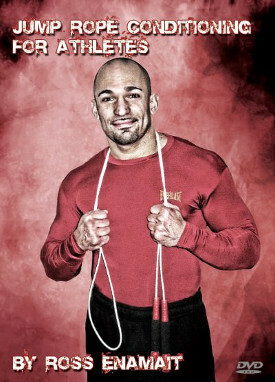 Low-Tech High-Effect Sandbag Training is currently available as a DVD or as an immediate digital download.